Want to travel in time and see how websites looked in the past? The internet library “Archive” lets you search how a particular website looked like. 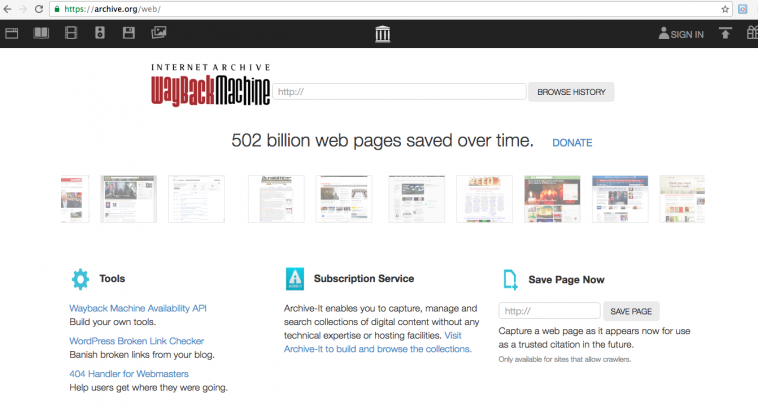 The Internet Archive is a non-profit that was founded to build an Internet library. If you are nostalgic about how a particular website looked in the past, this timeback machine takes you right there in the year you want to be. After hitting the button Browse History, the website gives all the option of the years the website has been online. In case of Google, it starts with 1998. 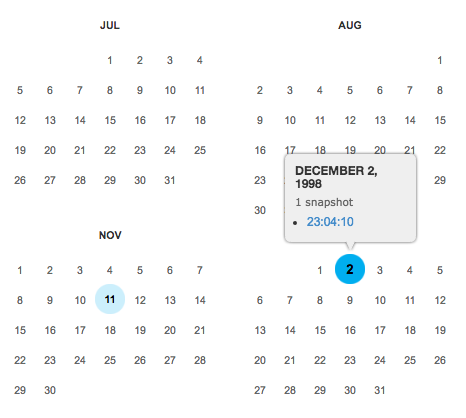 The blue bubble over the date in a calendar is a sign that a site old mirror is archived. I selected December 2, 1998. The final result page shows you the exact website in that year, that is how Google looked when it was launched in 1998. Amazing isn’t it?. The internet library has over 502 billion web pages stored in its archive.